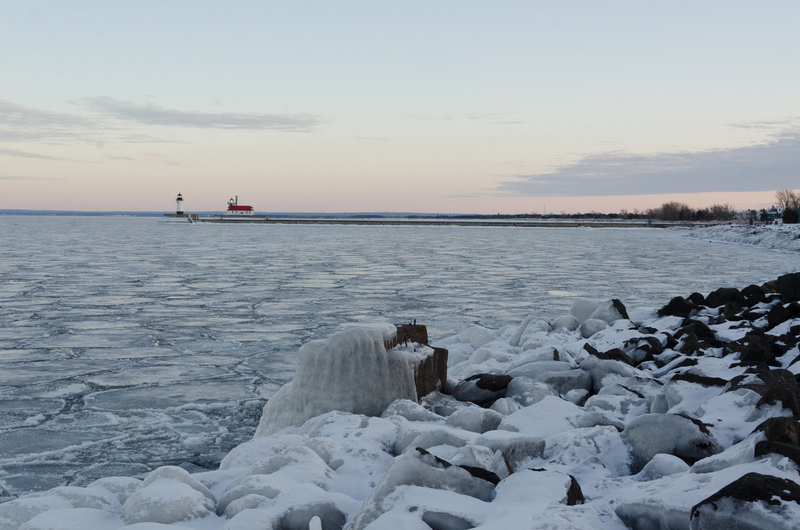 Duluth became home the moment I realized that I had the five hour drive to my parent’s house in Roseau memorized. From Professor Liang, NSR Editor-in-Chief: We sincerely thank the Monastery for sharing these treasured historic photos. We also thank Professor Heidi Johnson of the St. Scholastica Archives and St. Scholastica Library for the invaluable assistance and guidance for our student author. All rights to the photos belong to the Monastery, Archives, and College. The Benedictine sisters originated from Rome but have seen many other places as their home. From Rome they traveled to England, then to Germany, and then to the United States (specifically Pennsylvania). The order of St. Benedict that later moved to Duluth in 1889 originated around St. Cloud, Minnesota. 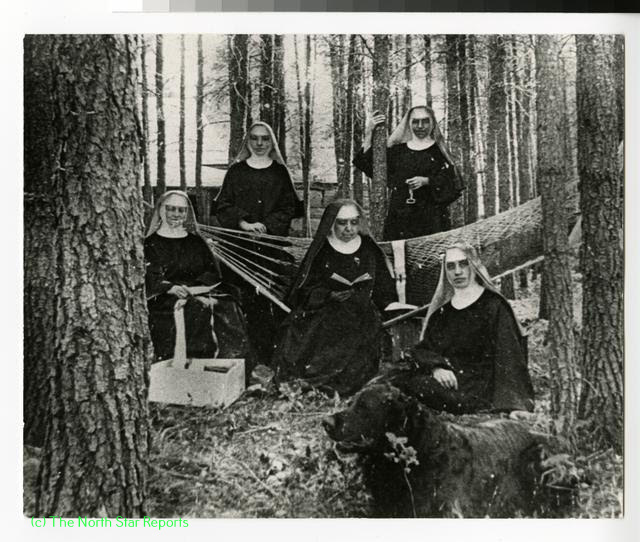 1882 marked the move of some of the Benedictine sisters to Duluth, Minnesota. Leading them was Mother Scholastica Kerst, born Catherine Kerst in Prussia in 1847 her family moved to the United States when she was just five years old to the St. Paul region of Minnesota. Her father Peter Kerst had no trade, just business skills and his savings from his work in Prussia. Mother Scholastica started her journey with God in Shakopee, Minnesota but soon asked to be transferred to a monastery in Pennsylvania, but she was persuaded to go to St. Joseph, Minnesota. In 1880 after only three years at St Benedicts monastery in St. Joseph she became the Mother Superior which she held for nine years. 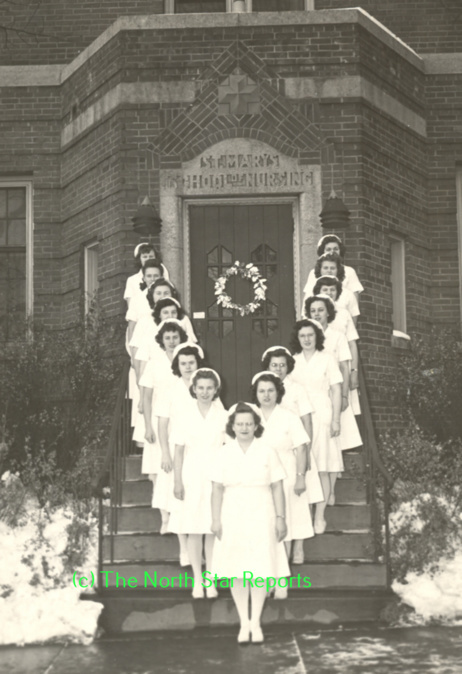 Mother Scholastica expanded the community by creating hospitals in Bismarck, St. Cloud, and Duluth and she also helped build and taught at certain schools when she was the prioress. When Mother Scholastica and her Sister Alexia both joined the Benedictine sisters in St. Joseph, their father gave the monastery a dowry of substantial size that allowed them to expand the community. 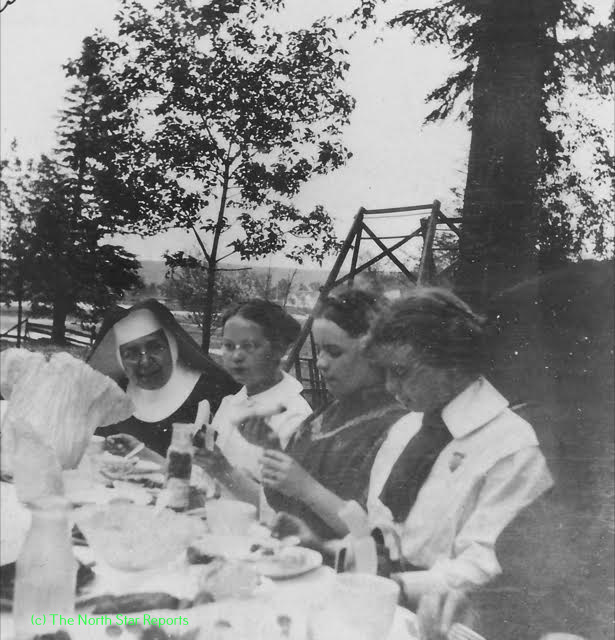 Mother Scholastica was approached to help create the new diocese of Duluth by Bishop McGolrick who would always say “She built my diocese.” This was the driving force what would soon lead to a strong community of Benedictine sisters on the Great Lake. Mother Scholastica and her sister Alexia, after an argument with the St. Benedicts monastery that was soon resolved by the pope, took their dowry and headed to Duluth with 28 sisters (31 if you counted non-professed women). 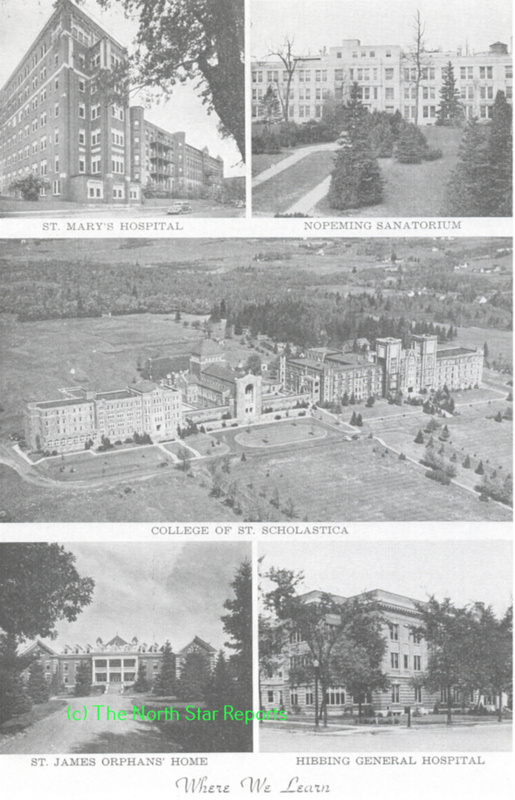 Mother Scholastica got started right away renting the first St. Mary’s hospital from St. Johns Abbey in 1888, which was located in western side of Duluth. Ten years later they out grew the hospital and started to think of a better location that could reach more people, so they sold the old building to Anna Kerst, the mother of Scholastica and Alexia and turned the building into an orphanage and then later it was turned into St. Anne’s home for the elderly. 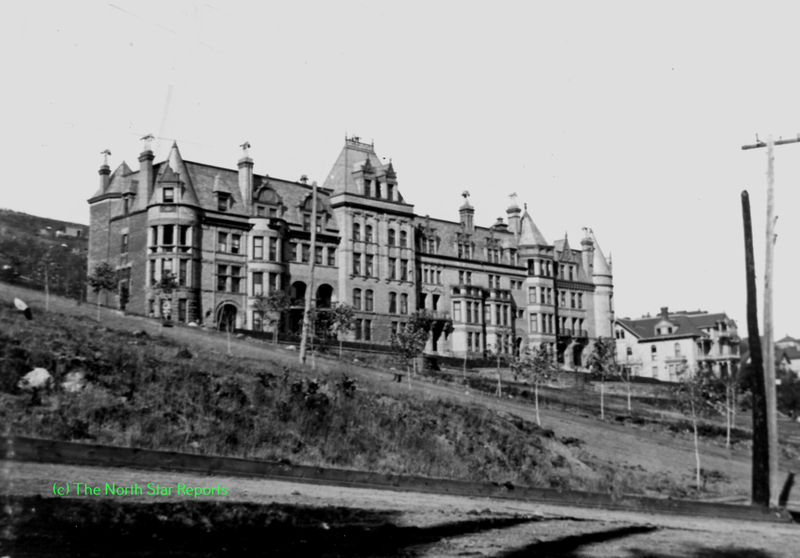 The new hospital was built ten years after the start of the first hospital on 5th avenue East and 3rd Street and had additions added on to it from 1912 and the hospital is still adding more additions and newer buildings to their campus. 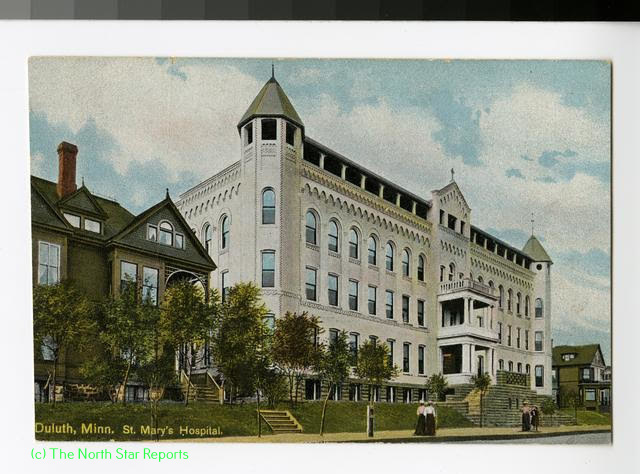 St. Mary’s has quadrupled in size and has been helping the north land area since the first building in 1888. The sisters were now working to establish a new school after the problems they faced with the first Sacred Heart. 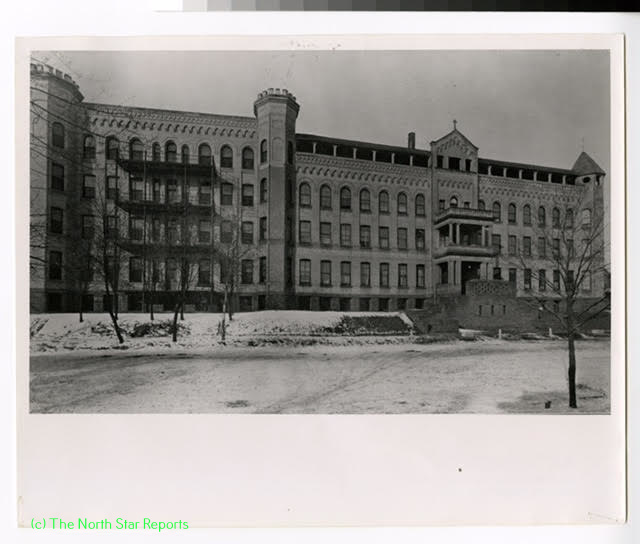 They began to rent out a building that can still be seen in Duluth today, Munger Terrace. 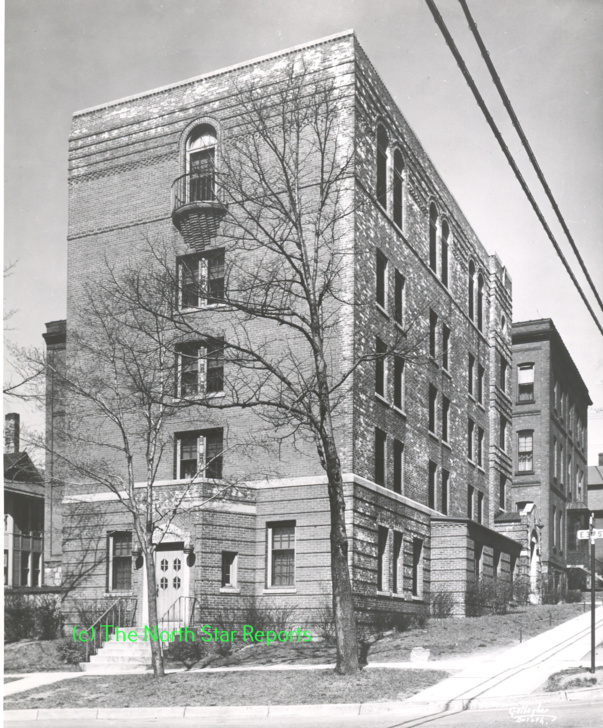 Here the sisters lived and taught children after the first Sacred Heart school was discovered to be unlivable. At Munger Terrace the sisters decided to remain permanently at their mission in Duluth. While the sisters were living in Munger Terrace they received a generous donation of three lots by Peter and Anna Kerst to help them build a new school and a new permanent location for the sisters. 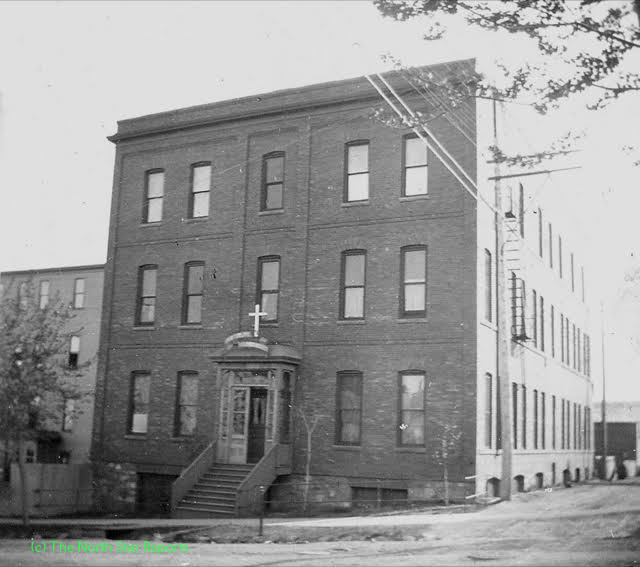 In 1894 the new Sacred Heart institute was completed. This prompted the sisters to move all operations from Munger Terrace to the brand new institution and cathedral. Seven years after the new school was opened they experienced a fire that occurred on New Year’s when everyone was located in the third floor chapel for mass. The fire damaged the basement, first floor, and even made it up to some of the second floor. This wouldn’t be the last fire to occur in this building. Sacred Heart institute started out with around only 20 students it soon reached over 100 students before it was eventually closed in 1909. Later on it was reopened in 1920 as St. Mary’s school of nursing, the building is still standing and has been converted into apartments. Thomas serves as an editor for The North Star Reports. Growing up in a house that is over 110 years old there are always projects going on. When summer rolls around it seems like we have a new project going on every week. Ever since the Duluth flood we have been working on fixing leaks in our basement. This summer we went around the outside of our house and dug a trench to help stop some of the areas that leak whenever there is a light drizzle we seem to have a leak. We got to work right away this summer. 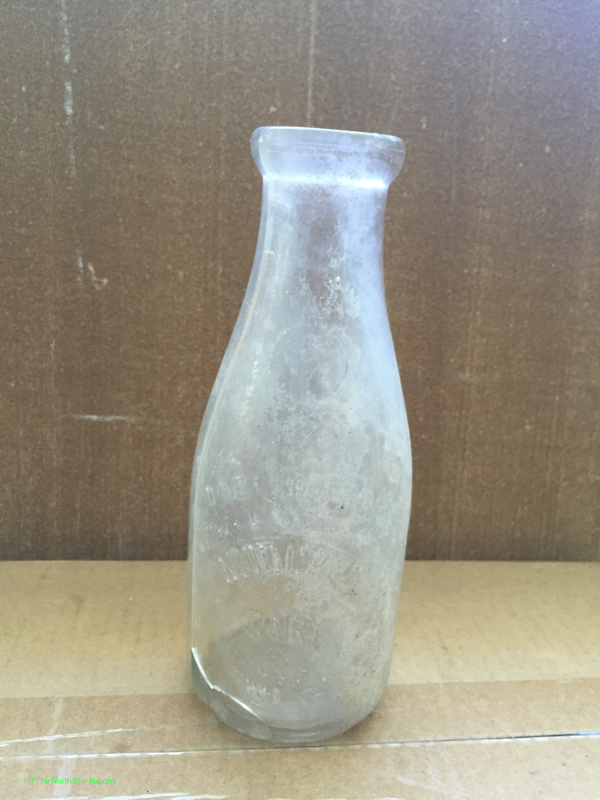 We found many little treasure like coins, silverware, and other miscellaneous trinkets. There was one treasure we found that really peaked all of our interests. 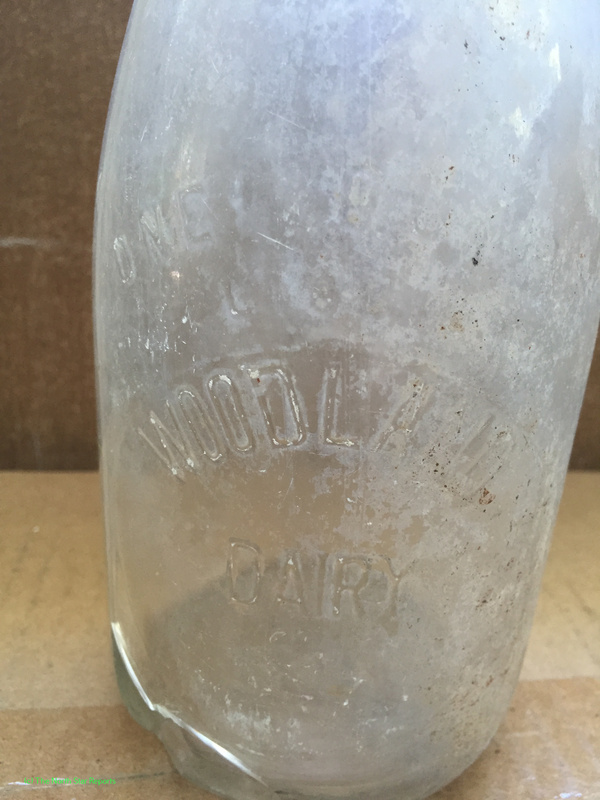 It was an old glass milk bottle that sported the words “Woodland Dairy”. 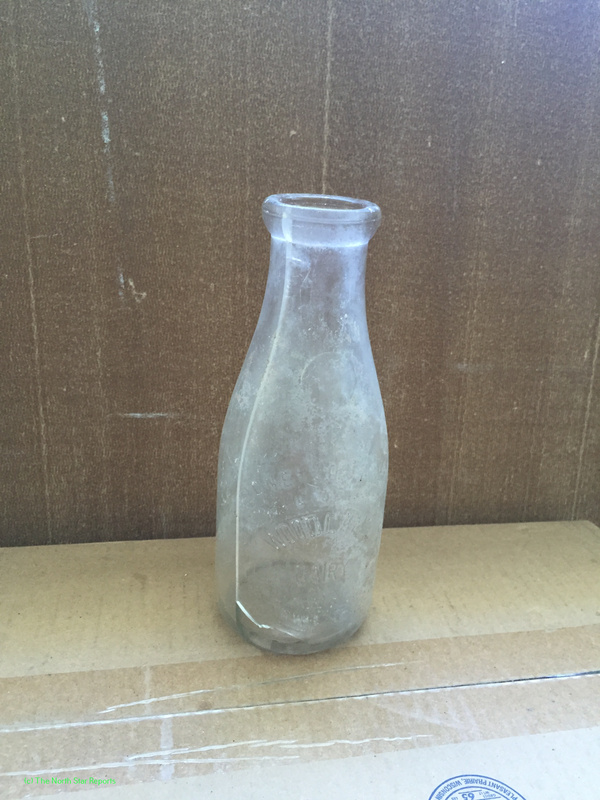 The milk bottle was in remarkable condition for being buried in a pile of rocks and old pieces of metal. We set it aside to take a further look at it when we finished the project. When we were done we went to work cleaning it up and trying to get all of the mud and grime off so that we could see all of the words that made up the “Label”. 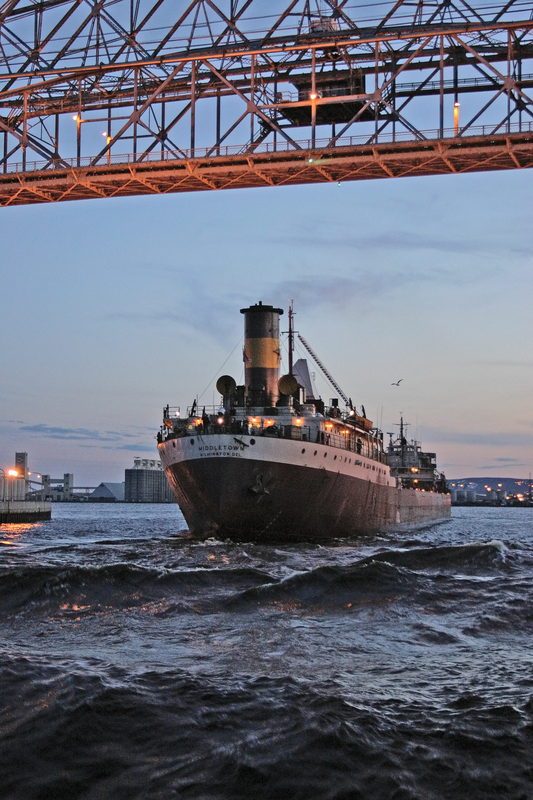 After a couple of hours of research we learned something new about a very popular place in Duluth. Hartley Nature Park is a very popular place in Duluth with the bike trails, hiking trails, and creeks many people love to go up there and experience the nice little slice of outdoors that is still close to the city. Before this popular place was turned into a park the land was split up into many different farms. Researching we came across that the park was a pine plantation and 50 acres made up a small dairy farm that consisted of 80-100 cows. This farm was named Woodland Dairy farm. 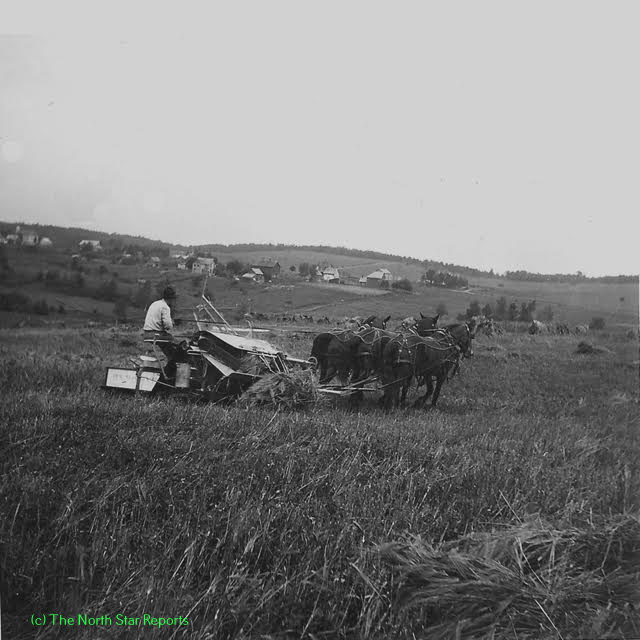 The pasture was cleared for the farm in the late 1800’s and in 1924 Woodland Dairy stopped their operation never stating the cause for the cease of operations. It’s always interesting to learn something new about a place that my family and I have visited over a hundred times. Just remember history is all around us. Hong-Ming Liang, Ph.D., Editor-in-Chief and Publisher, The North Star Reports; Chief Editor, The Middle Ground Journal; Associate Professor of History and Politics, The College of St. Scholastica. Kathryn Marquis Hirsch, Managing Editor, The North Star Reports.